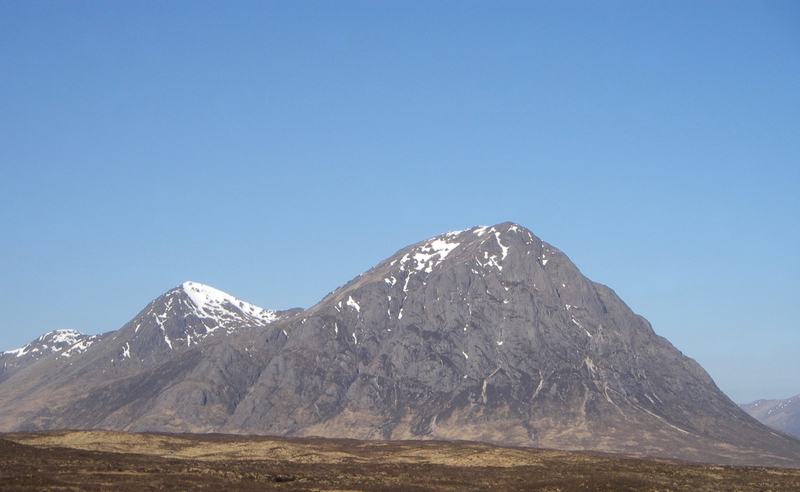 After a cold and frosty night it was blue skies and sunshine again in Glen Coe. Similar outlook for tomorrow. Some of the deeper shaded recesses will remain very cool through the day giving possibility of a firm, icy and very slick snow surface where axe and crampons will be essential due to serious run out potential onto rocks. 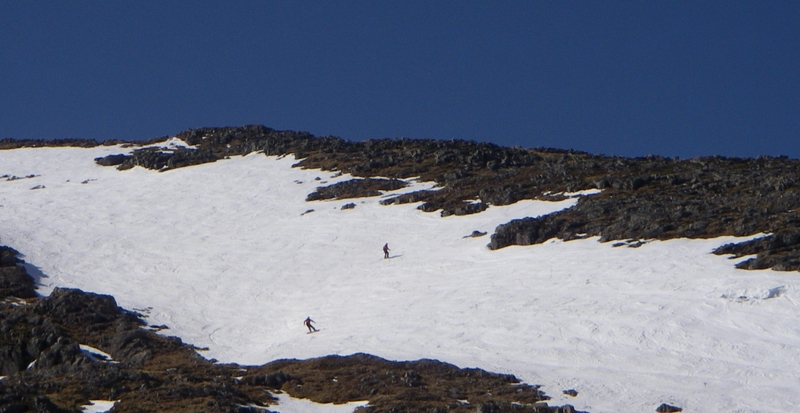 Boarder and skier on The Spring Run. Skier and boarder on the Flypaper. 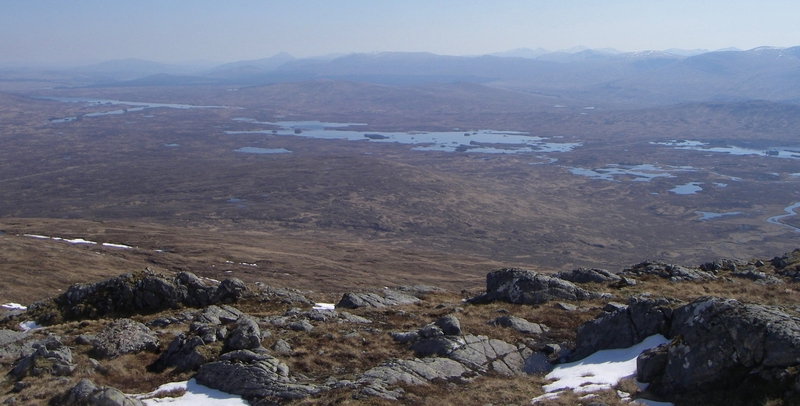 Wall to wall blue sky looking out over Rannoch Moor. 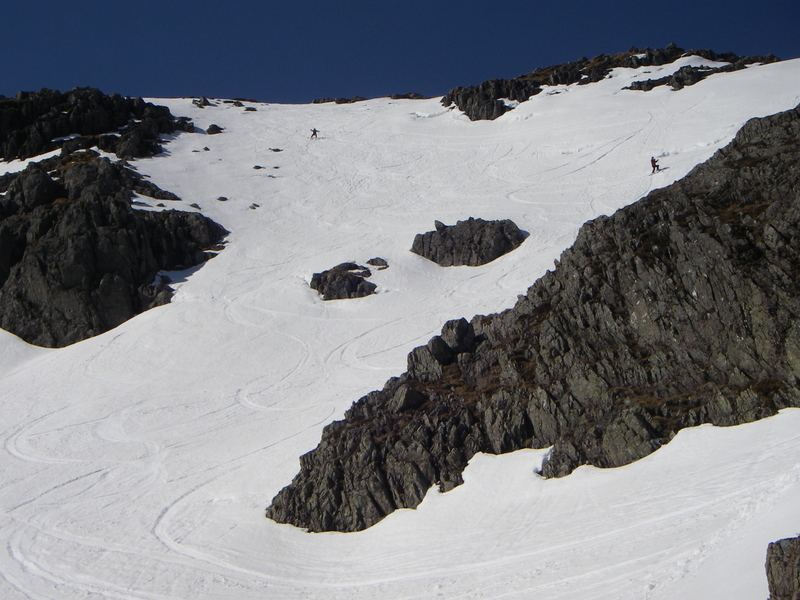 Stob Coire nan Lochan, deeper shaded areas will remain cool giving the possibility of an icy and slick snow surface. 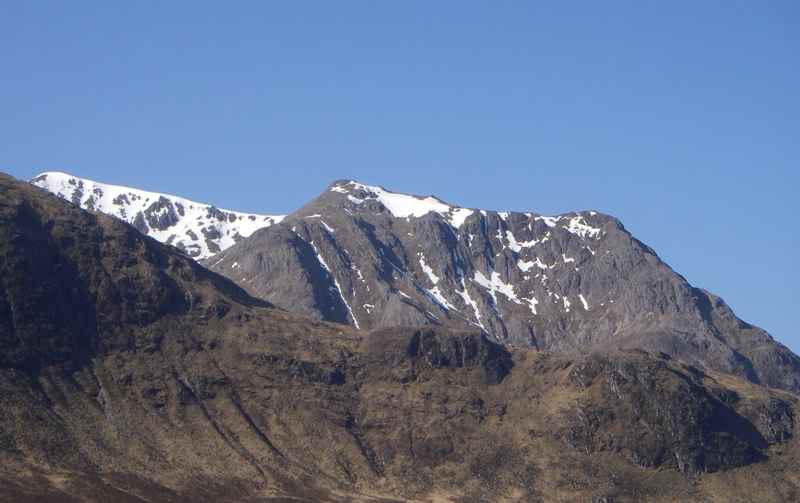 Crampons and axe required. Creise left and Sron na Creise right. 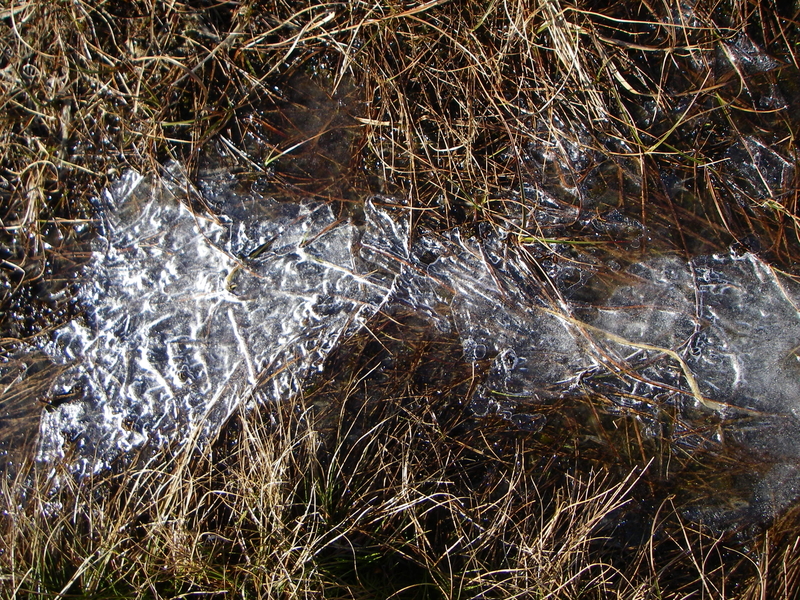 Lochans and puddles above 400 metres froze over with overnight frost.